So for the special dinner and shopping date I still want to look good in front of my husband. Therefore I am taking an extra skincare routine for the past week to make sure that my skin would stay nice and pretty so my makeup would applies smoothly and stays longer. The extra skincare routine that I took this past week is putting on face masks. I believe that applying face mask regularly (or even applying mask just a day before a big event) would help make your skin behave nicer, making it a smooth canvas for the makeup. I have a few face masks in my vanity but this time I'm trying out an oxygen mask. 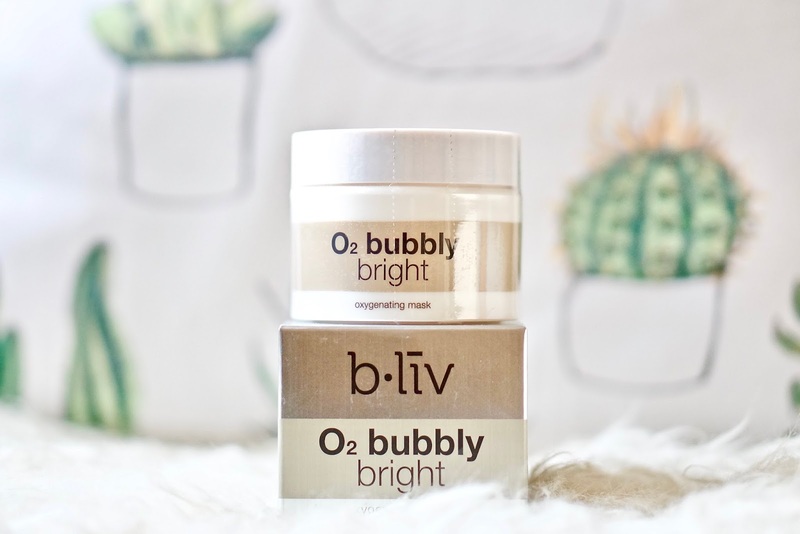 I have always been curious with the oxygen mask trend that I kept seeing on the beauty blogger / vlogger world lately. And luckily I had the opportunity to review one of them. The one that I'm reviewing right now is the O2 Bubbly Bright Face Mask by B.Liv, a salon-based solution skincare brand that have undergone trials in more than 200 professional skincare centers prior to placement in the retail market. 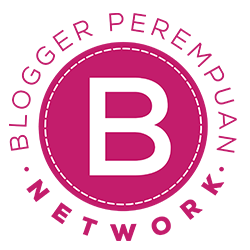 Therefore, with B.Liv products you will get the same treatment at home similar to those available in professional skincare clinics. "For dark and uneven skin tone". This is a purifying, brightening, and exfoliating mask that combines oxygen bubble and rice powder to brighten and enliven complexion. I was so happy when I received this so I tried it right away. And from that first trial I fell in love with this mask. 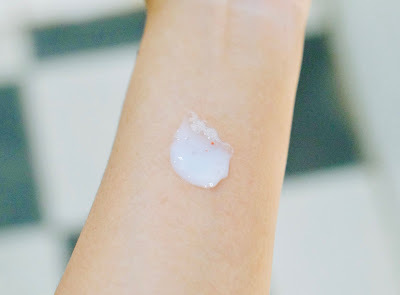 This is a purifying mask that felt so smooth and comfortable on the skin without leaving a mess. 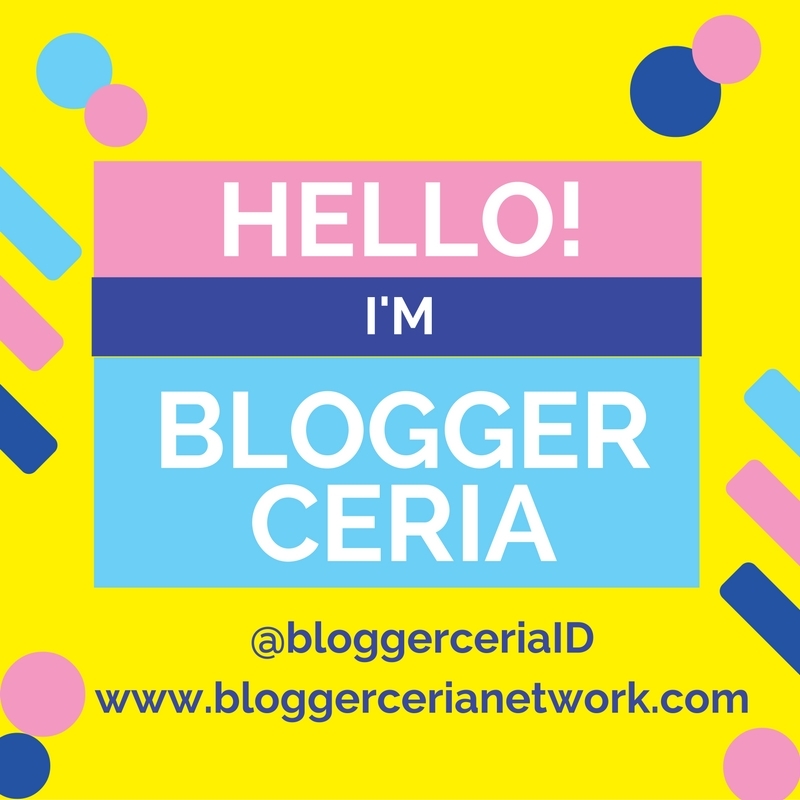 It's instant, easy to use, and very fun to use! 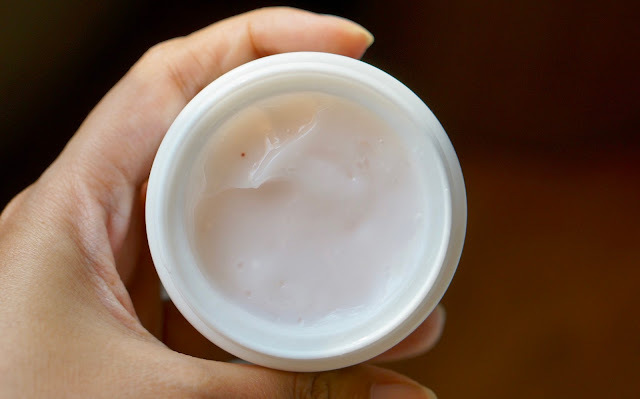 The mask comes in a regular round tub and the formula itself is kinda like a thick lotion that melts when it touches your skin. It has a very pale pinkish shade with super tiny red beads in it. 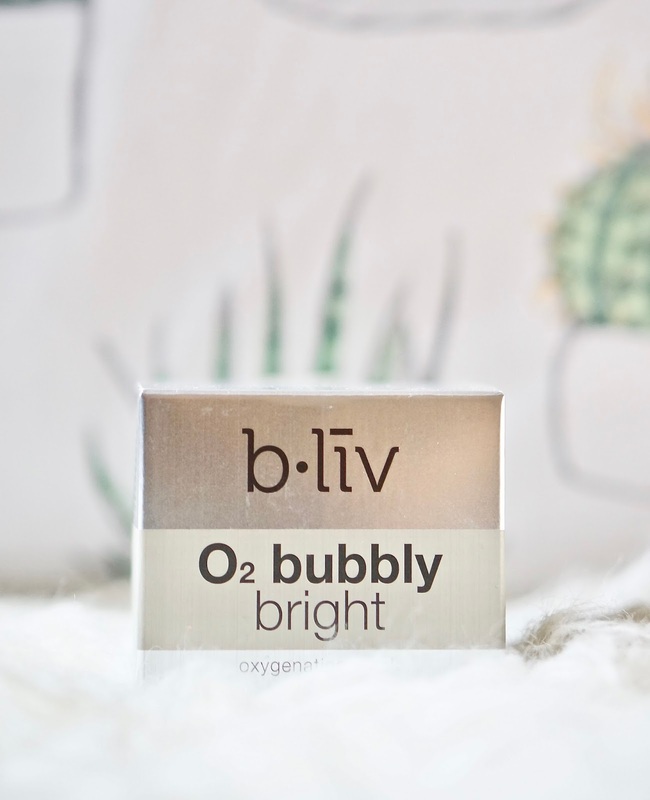 The O2 (oxygen) bubble in the mask is meant for purifying skin. It would deeply penetrate into skin to wash away pore-clogging, impurities, debris, and excess sebum. While the Rice Powder has brightening properties. It would help moisturize and brightens the skin. And lastly, the tiny little bits of red cellulose beads are meant to exfoliate the skin, making the skin softer, smoother, and more glowing. 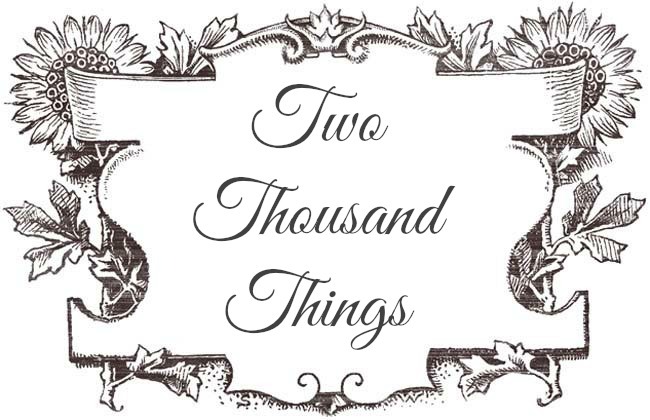 Anyway, the box said that you should leave it on for 10-15 minutes, but I personally put it on longer than that because I just like how it feels on my skin (and because I enjoy watching those bubbles foamed up on my face). Then lastly, massage once more for a deeper cleansing if you want. Rinse with lukewarm water, then you can proceed with your remaining skincare steps. You would see from the photos below how the mask starts to change in just a couple minutes on your skin. 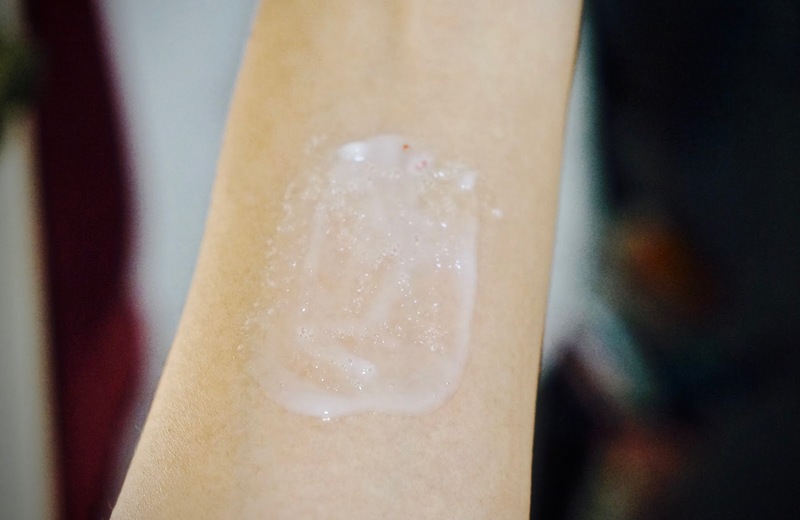 The first photo is when I first applied it, then the second photo is when I spread it on my skin, and the third photo is when the bubble starts to foam. I really love and enjoyed using this mask, and it only needs a couple minutes of your time to do this. There's no mess because the mask and bubble would stay on your face and they would not drip. So you can use it while doing something else. I mostly do this while doing house chores or while watching something on Netflix or youtube. It doesn't make your face feels wet so you won't have to worry about drips. As I told you above, upon application the mask would fizzes into soft foam soaking up impurities while the red soft beads gently melt away to exfoliate your skin. On the photo below you would see how it really foams up on my face. It just took a couple minutes for it to foam up nicely just like how you see in my photos below. Overall, this has become my current favorite face mask of all the face masks I have in my vanity right now. Simply because it is easy to use, no hassle, no mess, no dripping, and it also cleans easily. I just wash my face with water like usual. 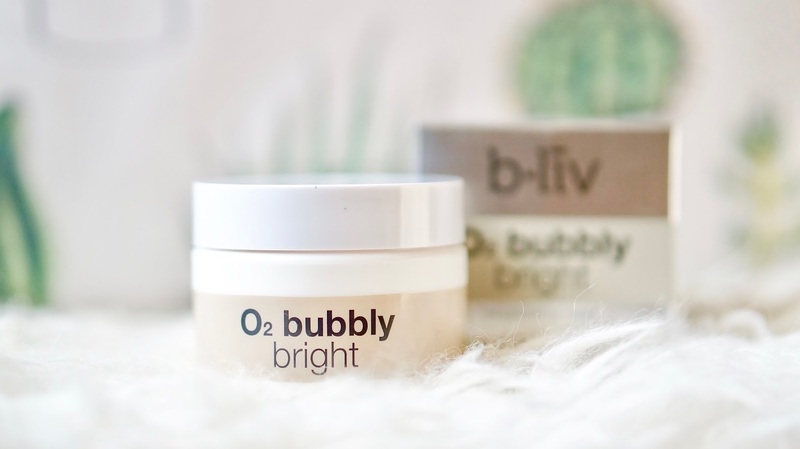 The price of this O2 Bubbly Bright mask is $39 for a (50g) jar. One last thing to note, it also comes with its own little spatula inside the box so you don't have to dip your fingers inside the tub, making it more hygienic for a longer use time. 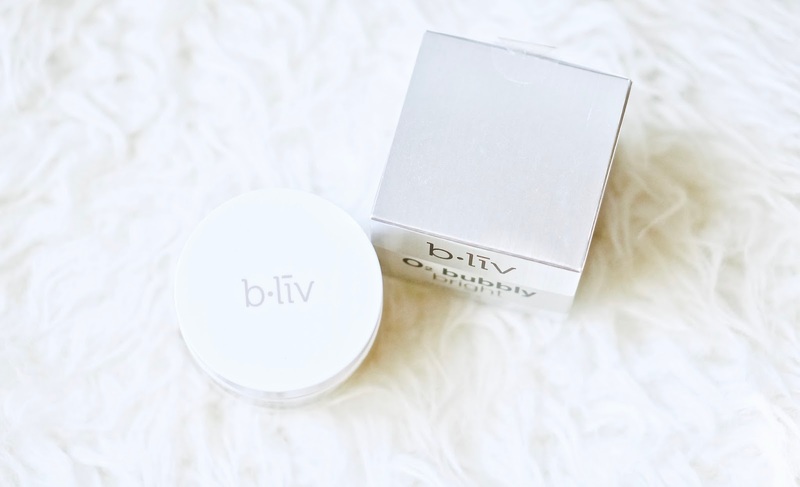 You can also check out their website for more detailed info and more B.Liv products. Now I'm ready for my date !